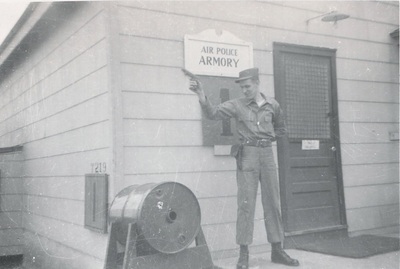 During the 1950s, the growing emphasis on massive nuclear retaliation gave rise to the present mission concept of providing security to our combat ready weapons systems. 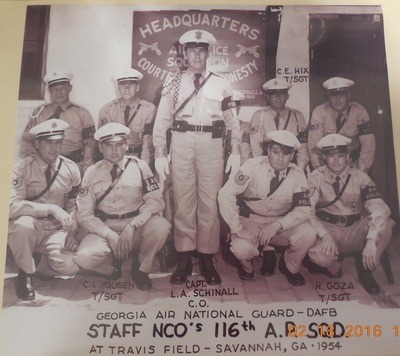 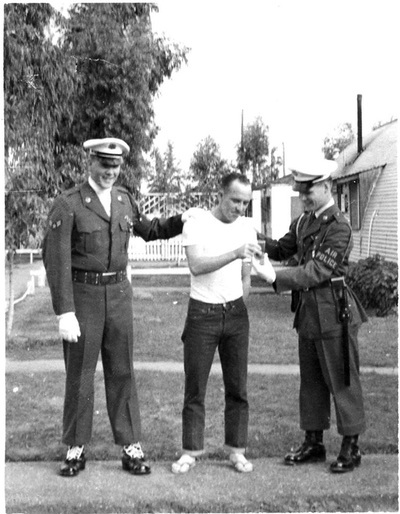 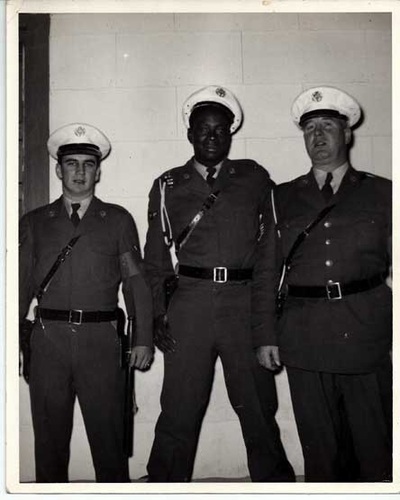 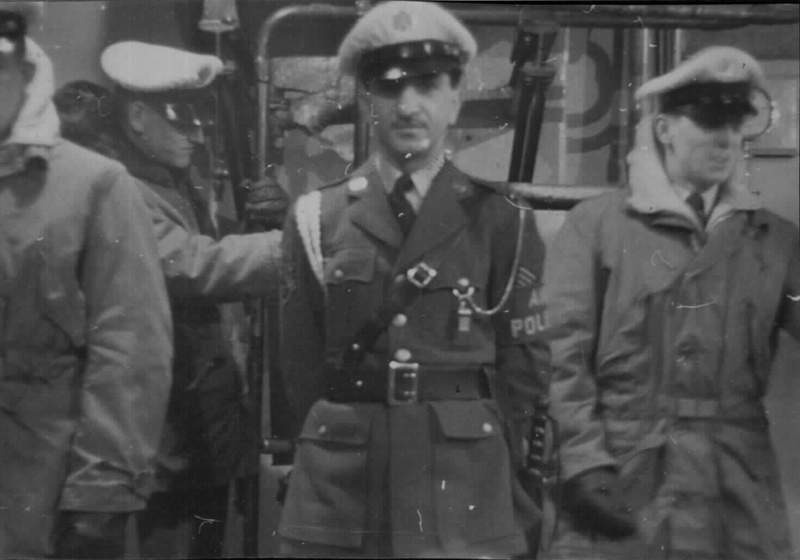 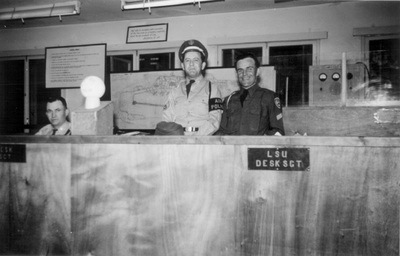 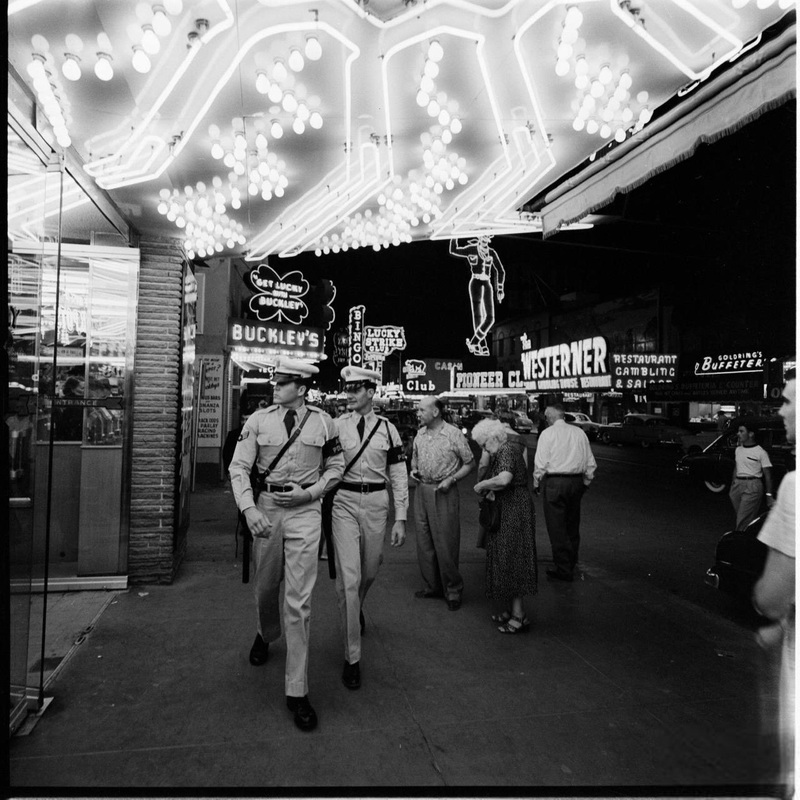 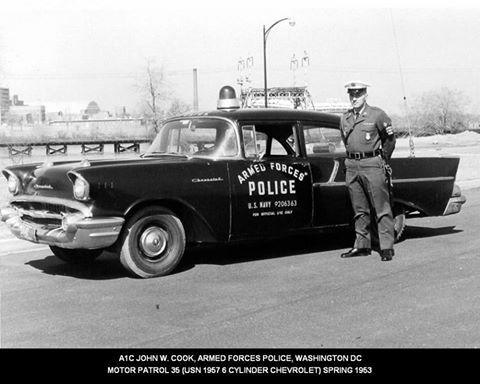 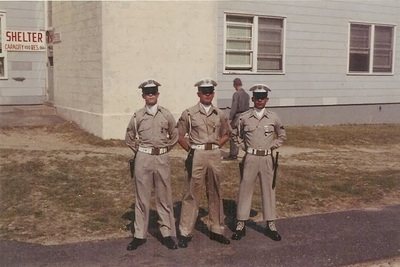 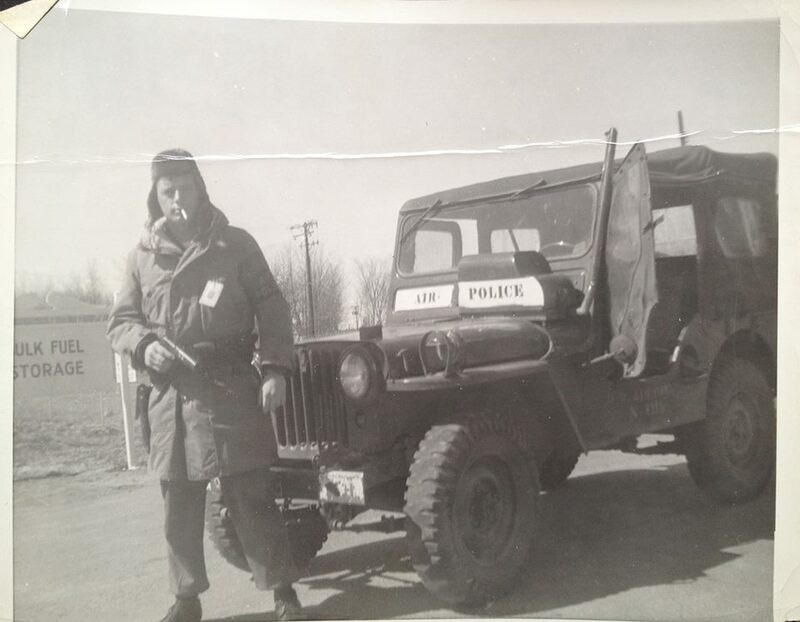 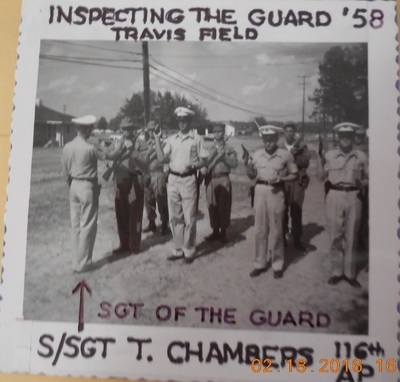 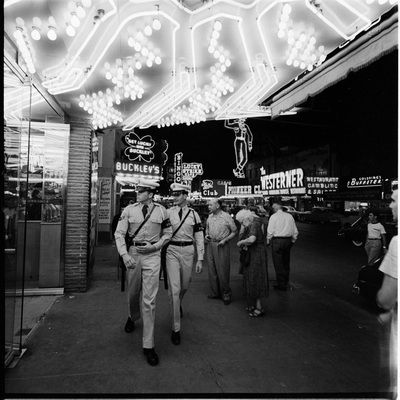 This led to the formation of protective standards versus the previous practice of individual commanders solely determining the utilization of the base police. 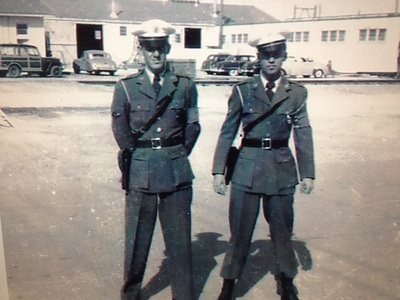 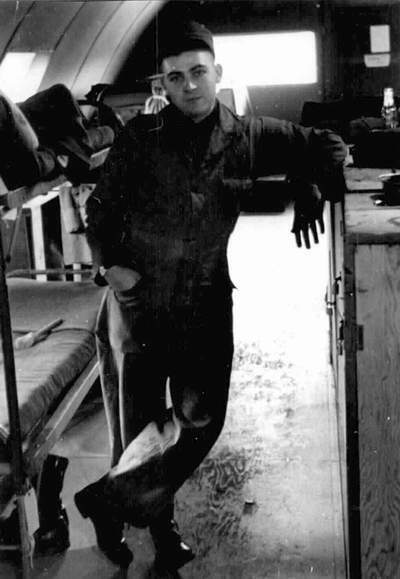 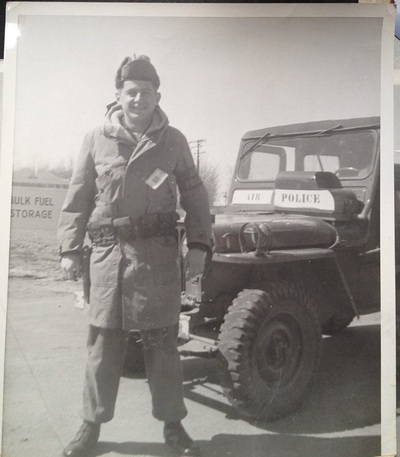 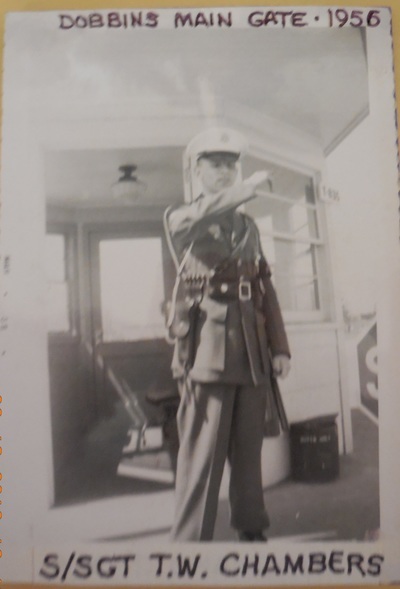 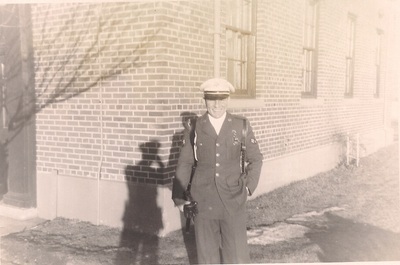 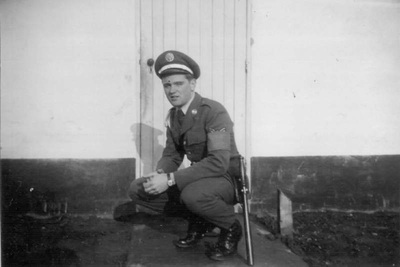 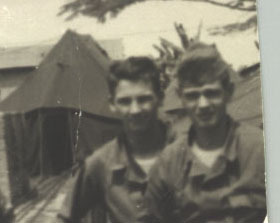 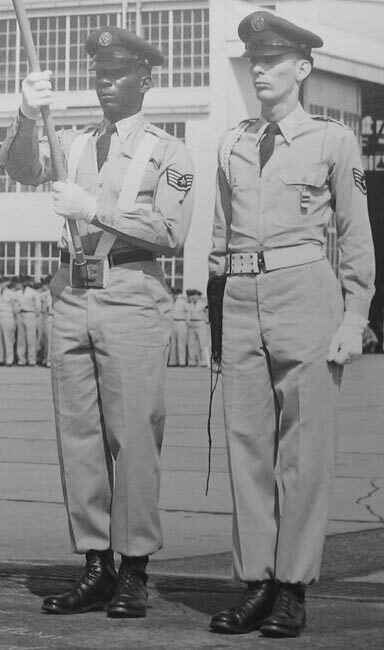 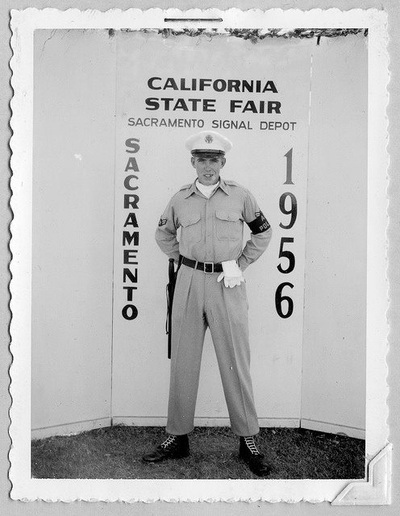 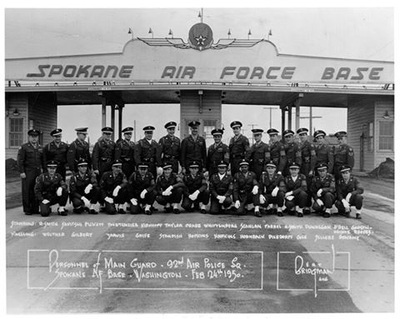 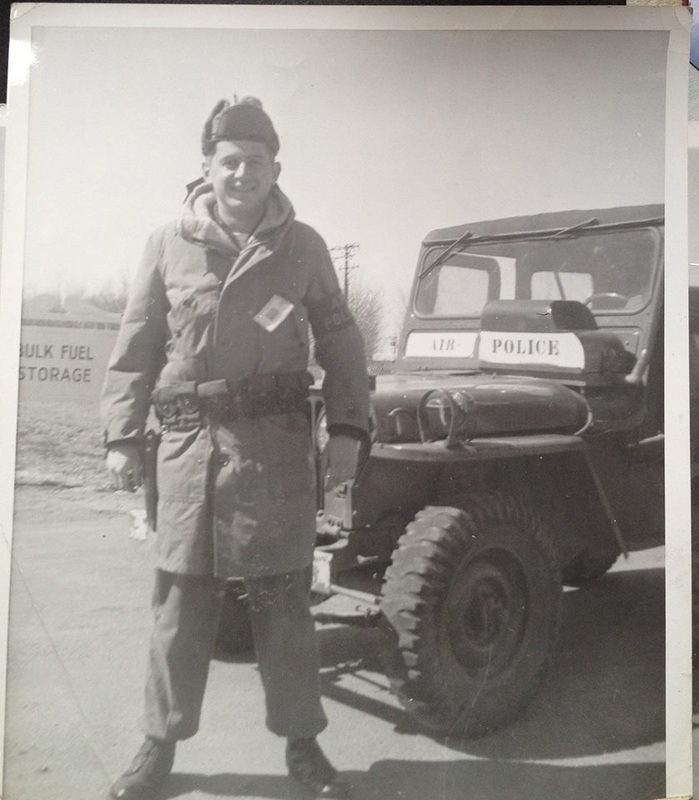 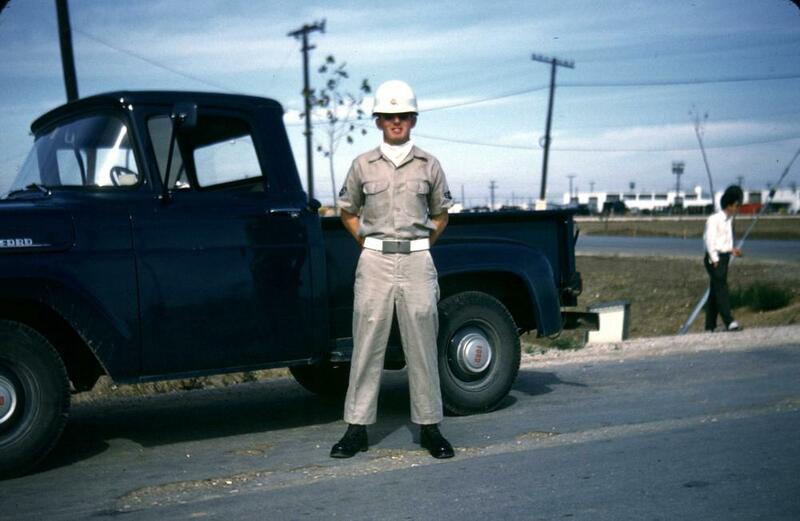 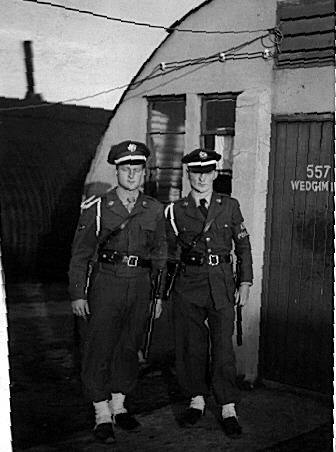 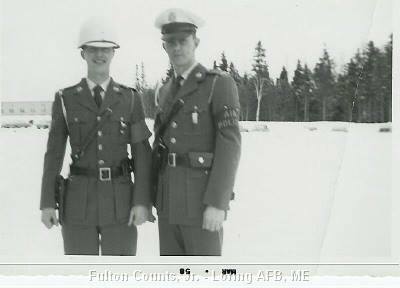 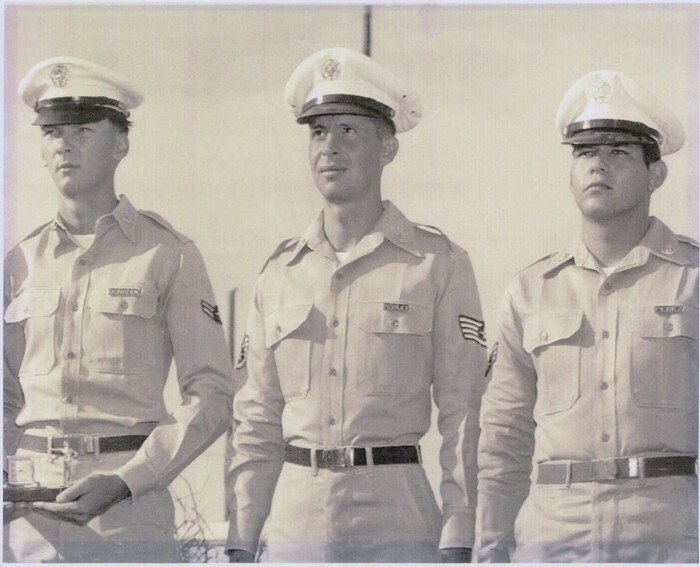 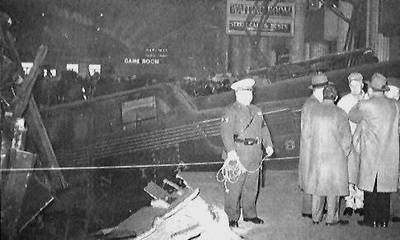 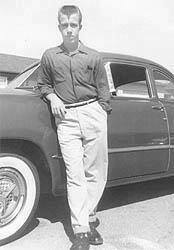 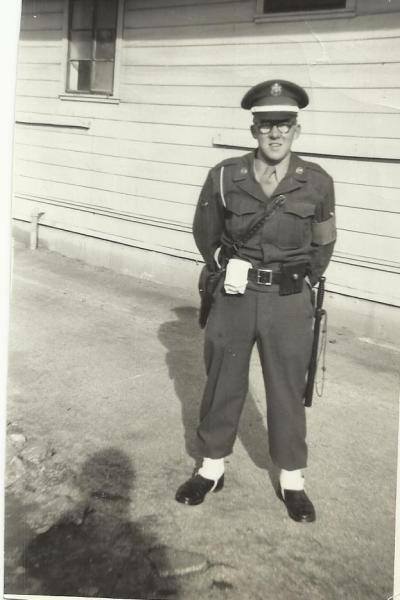 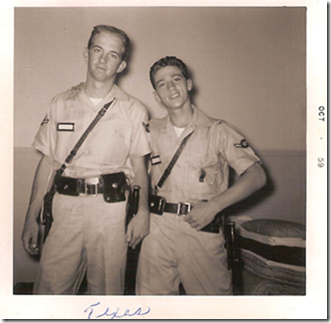 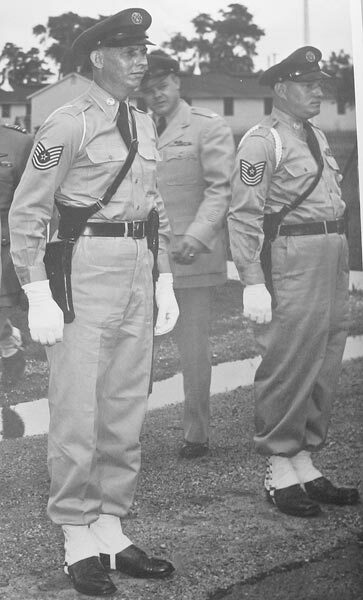 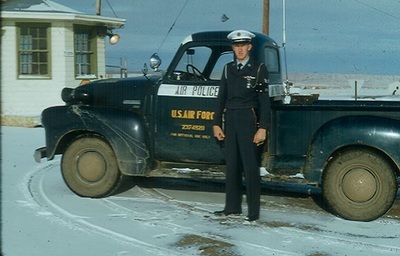 The late 1940s and 1950s saw SF members begin to establish their own identity and take on career field and Air Force specific tasks. 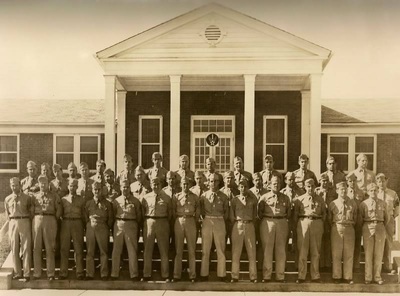 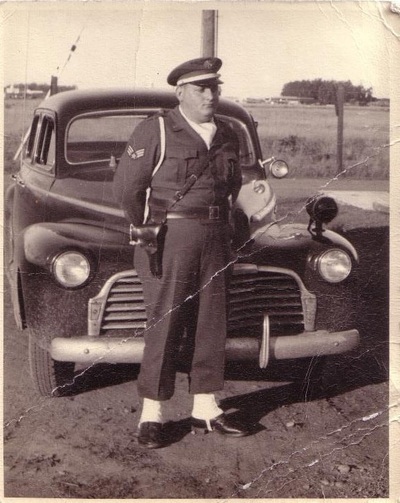 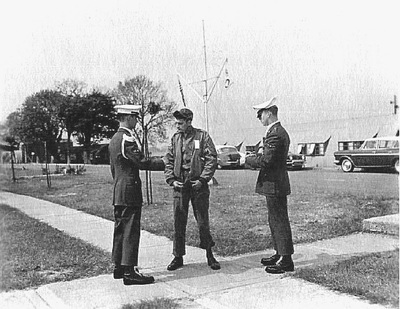 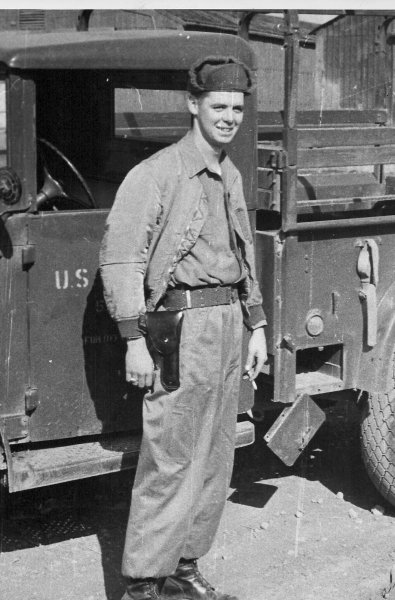 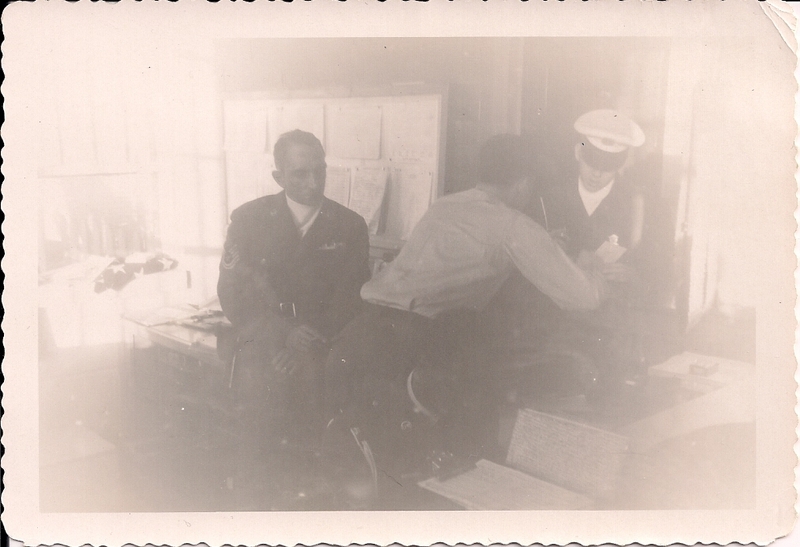 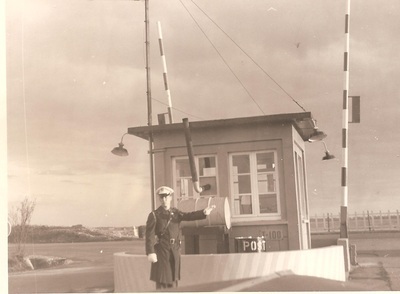 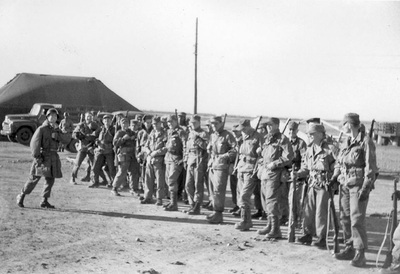 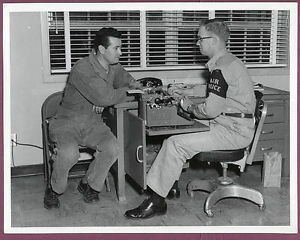 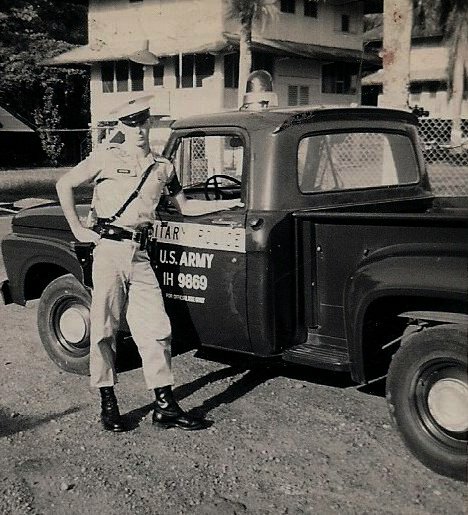 During the late 1940‘s, APM duties were established in separate military occupational specialties or career specialties assembled in a career field. 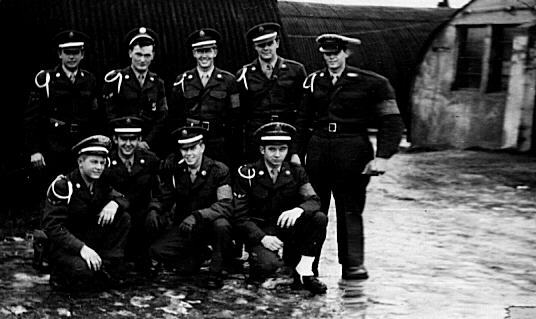 However, unlike the Army Air Corps concept, there was no centrally directed organization or centrally prescribed method of operation. 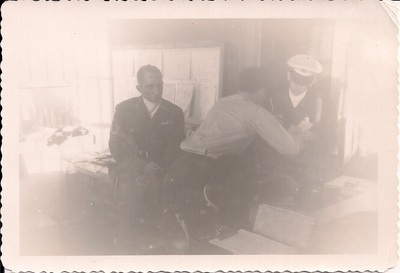 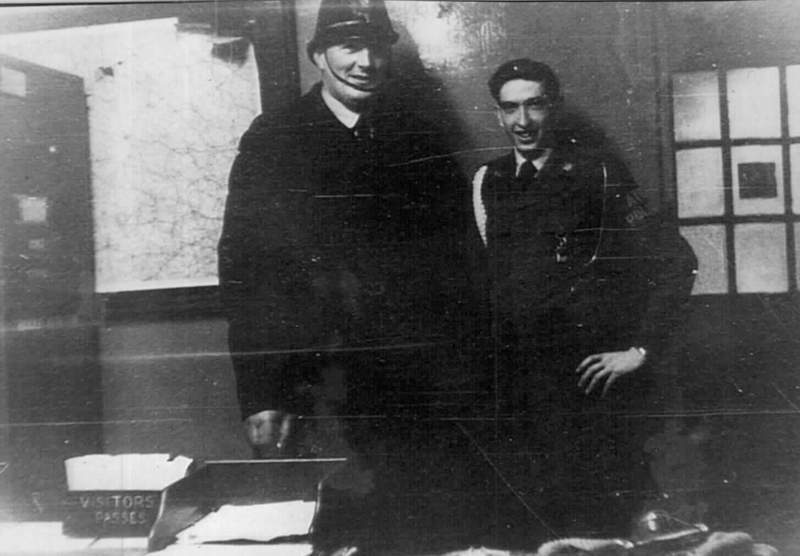 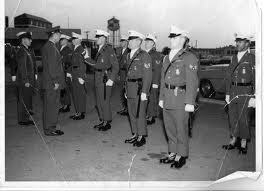 Staffing and organizational requirements were established according to local conditions. 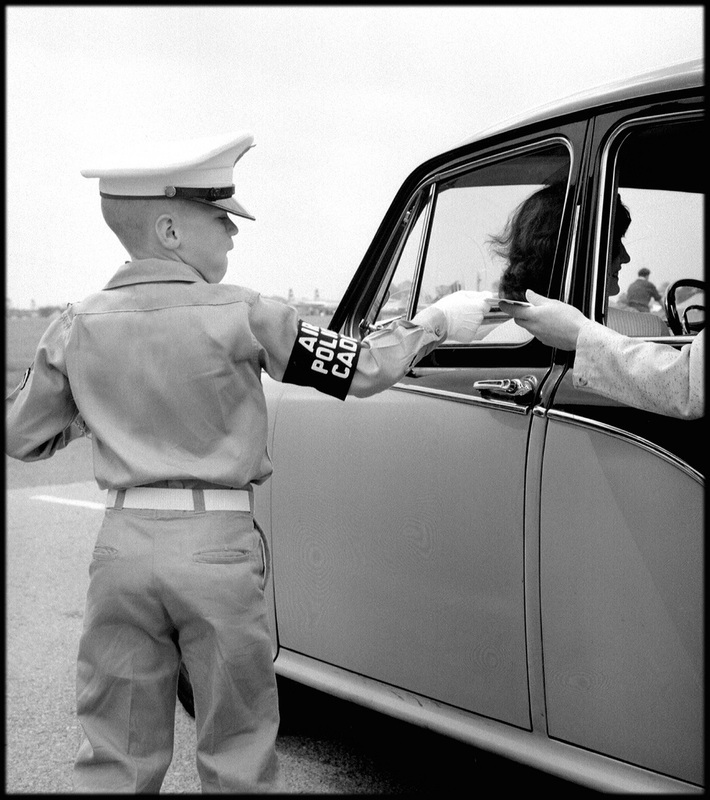 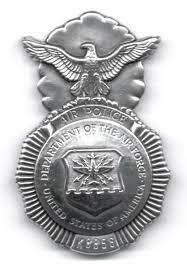 The guidelines, issued by HQ USAF, established broad policies but did not set specific standards or security requirements. 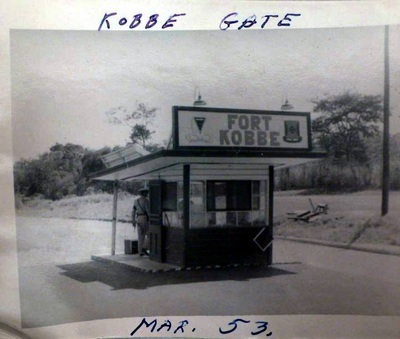 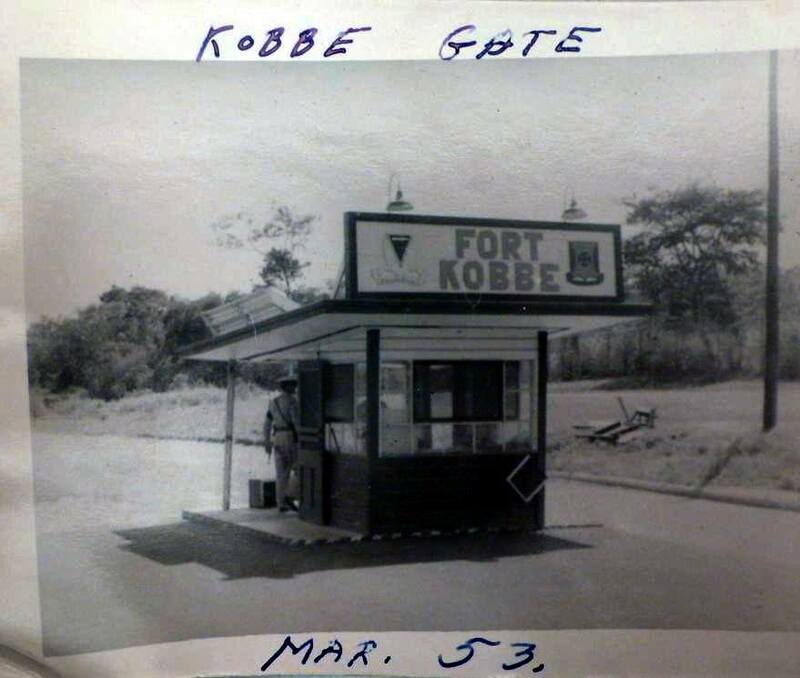 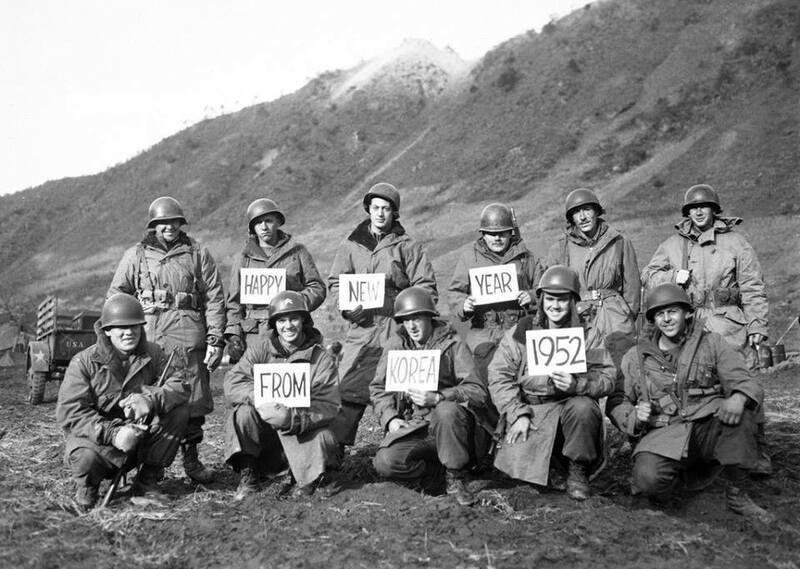 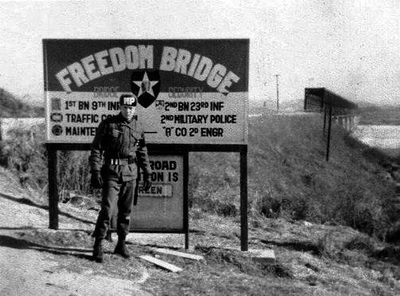 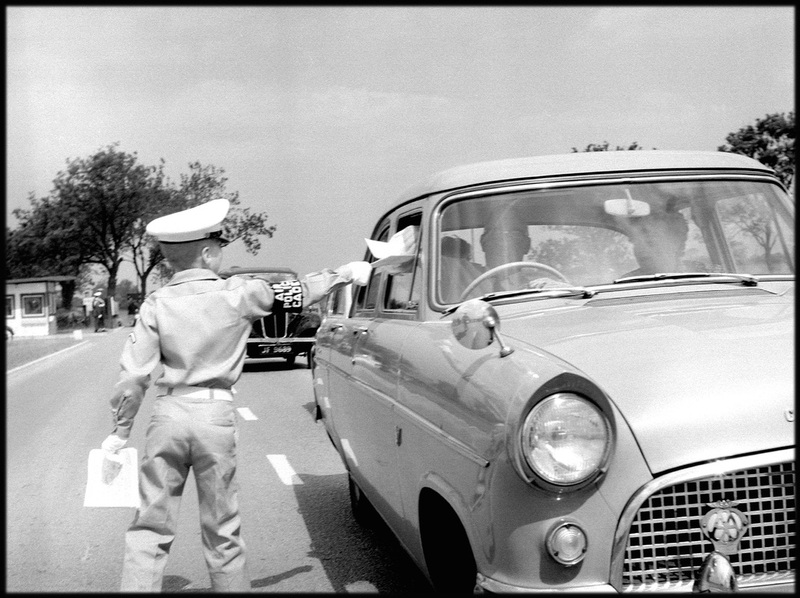 In the initial stages of the Korean War, American and South Korean forces were ill-prepared and were forced to fall back hurriedly in the face of the communist onslaught. Air bases in forward areas found themselves suddenly overrun by the enemy. 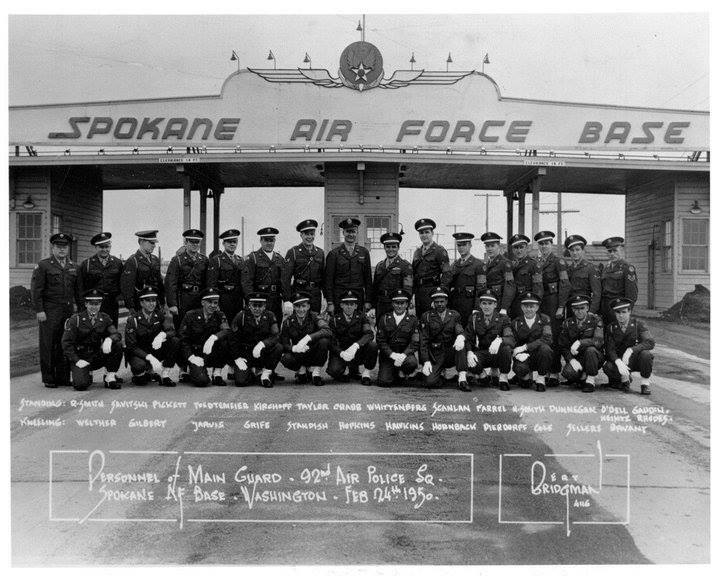 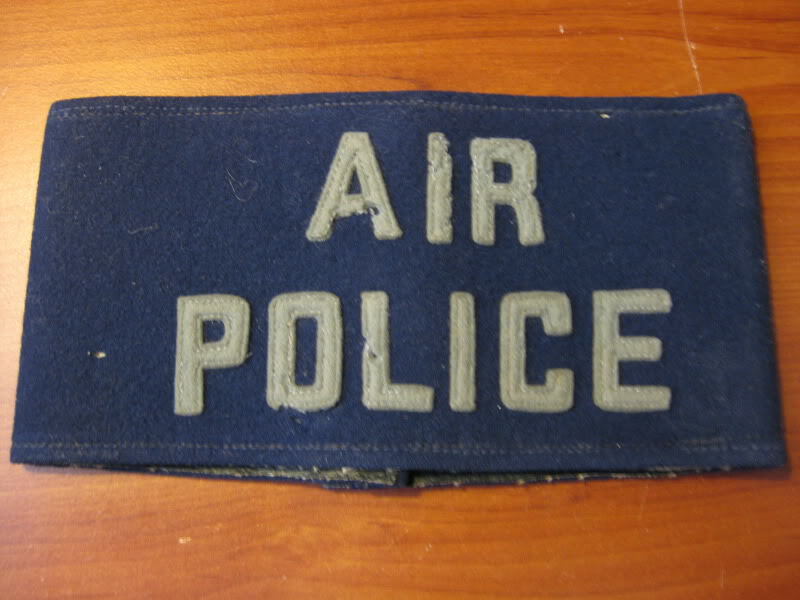 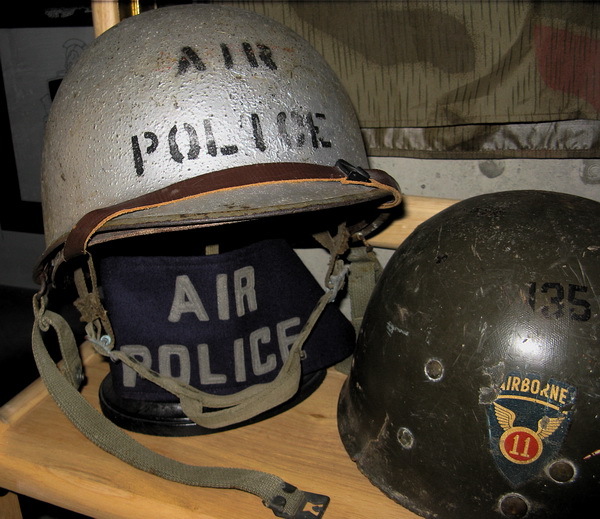 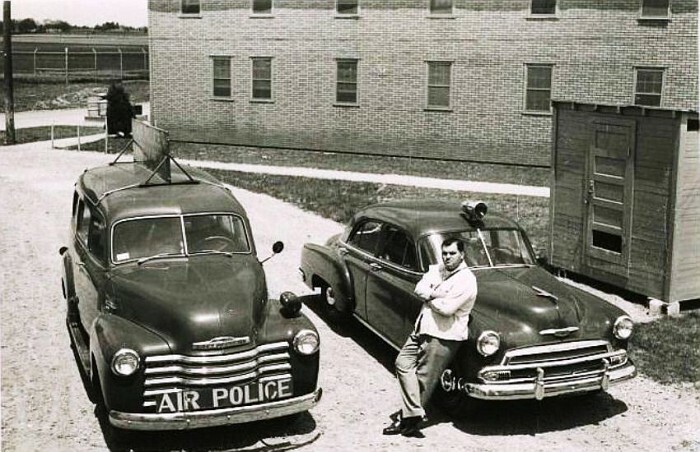 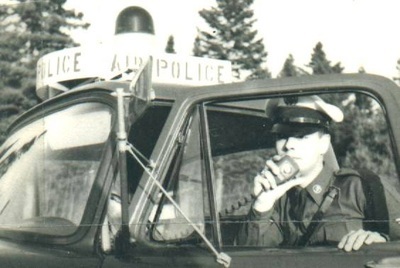 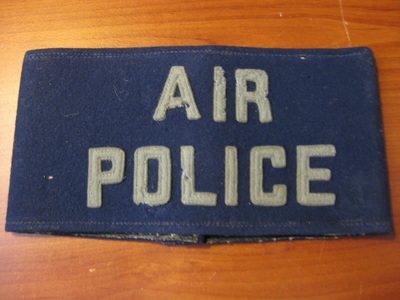 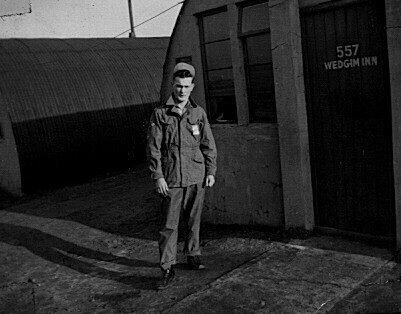 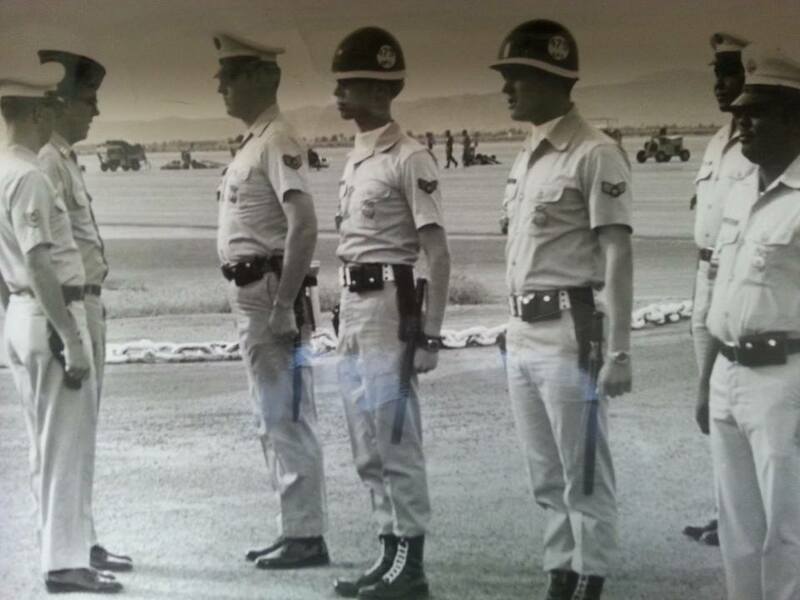 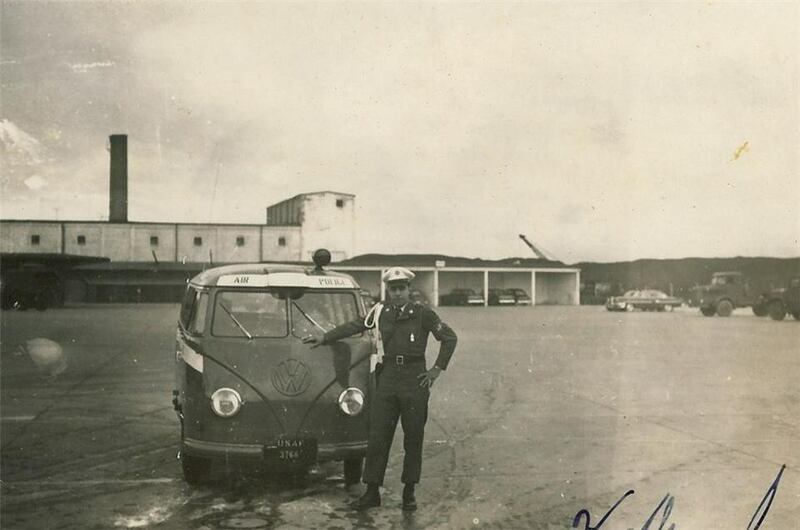 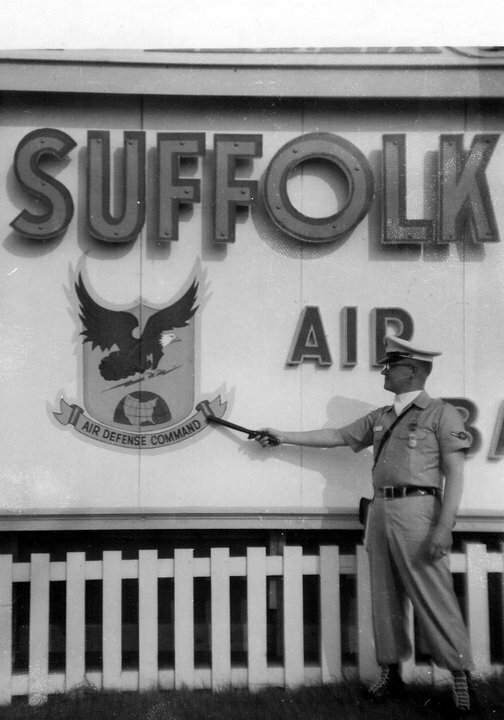 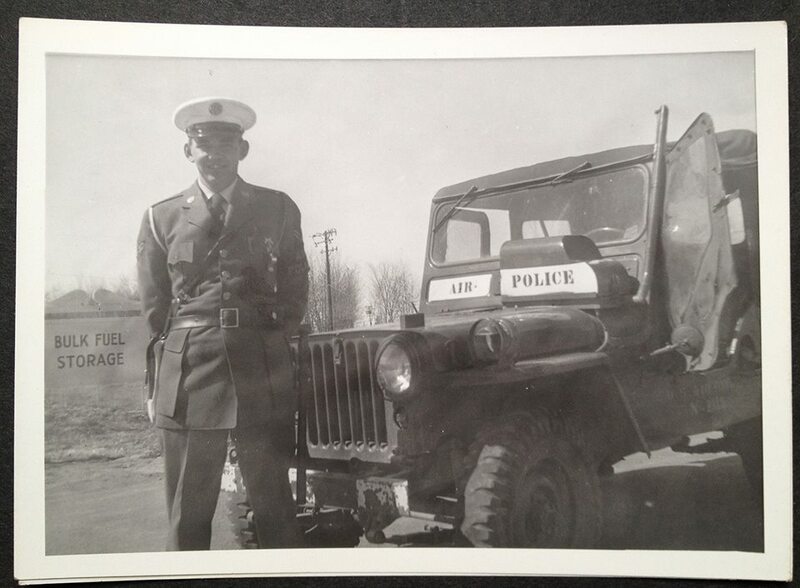 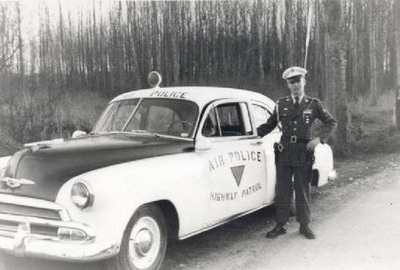 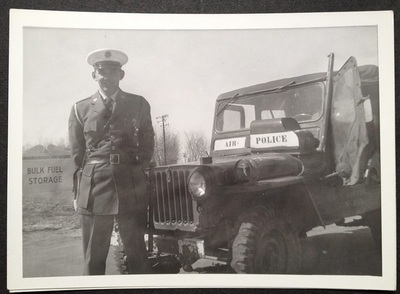 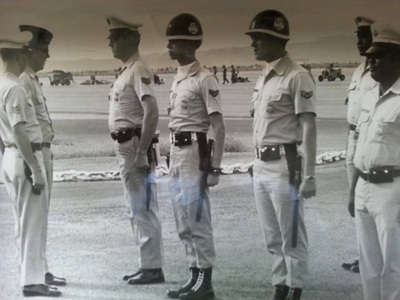 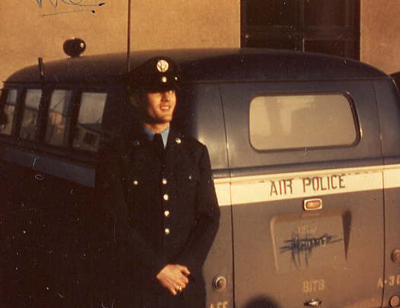 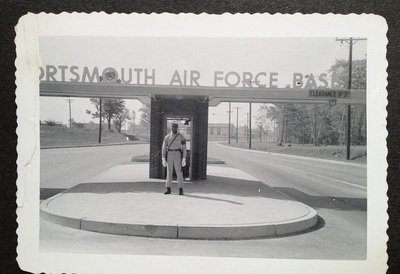 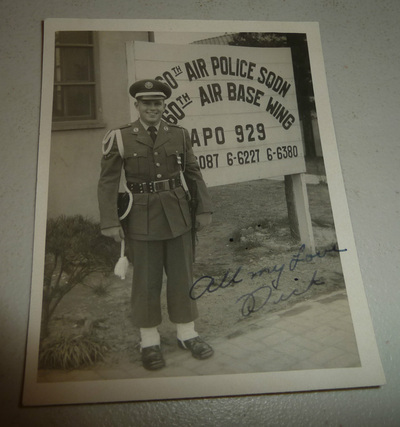 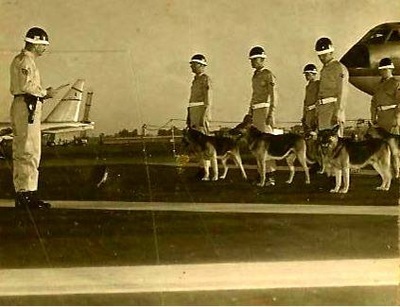 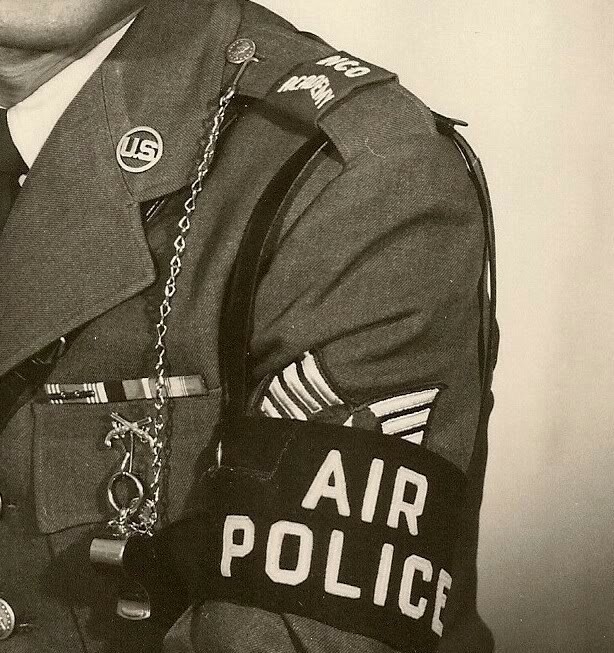 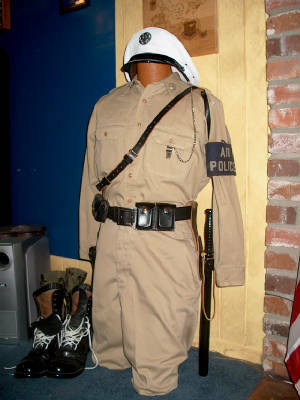 In many instances, Air Police were the only armed force on the base. 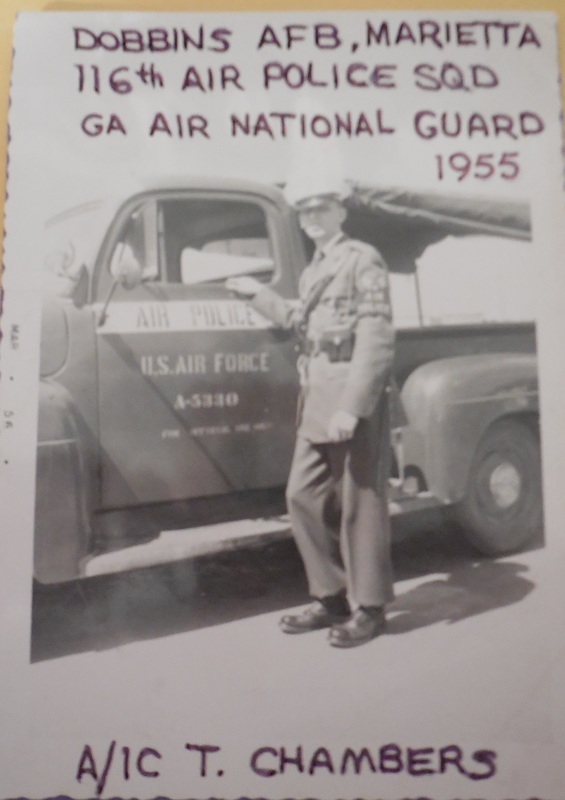 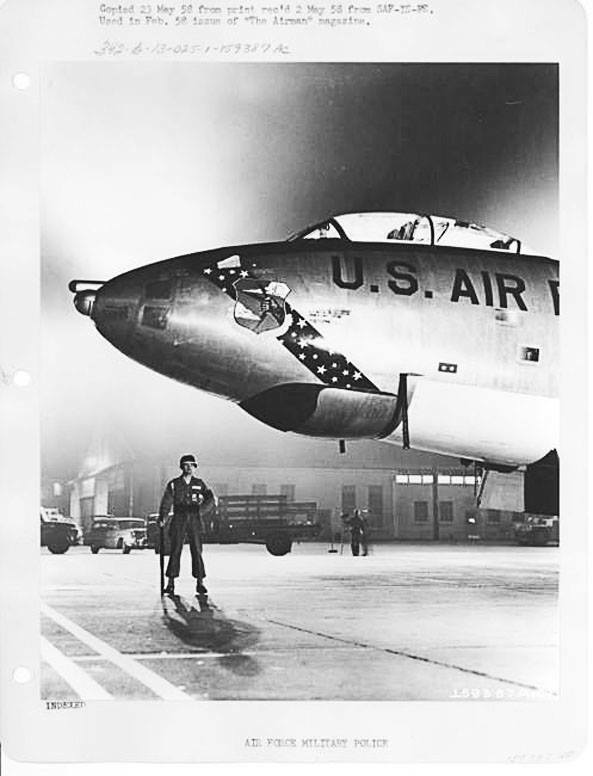 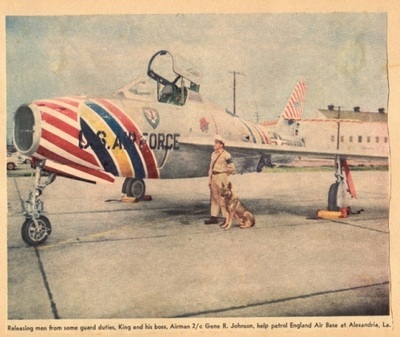 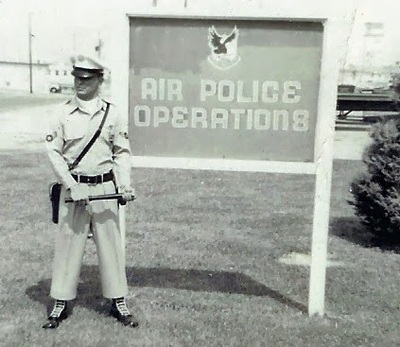 These experiences led to the decision that the Air Force needed to develop a more extensive base defense capability by concentrating on the training of Air Police who would then train other members of the Air Force. 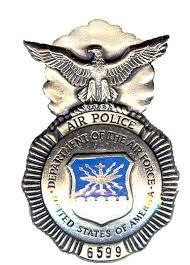 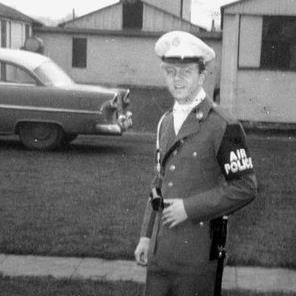 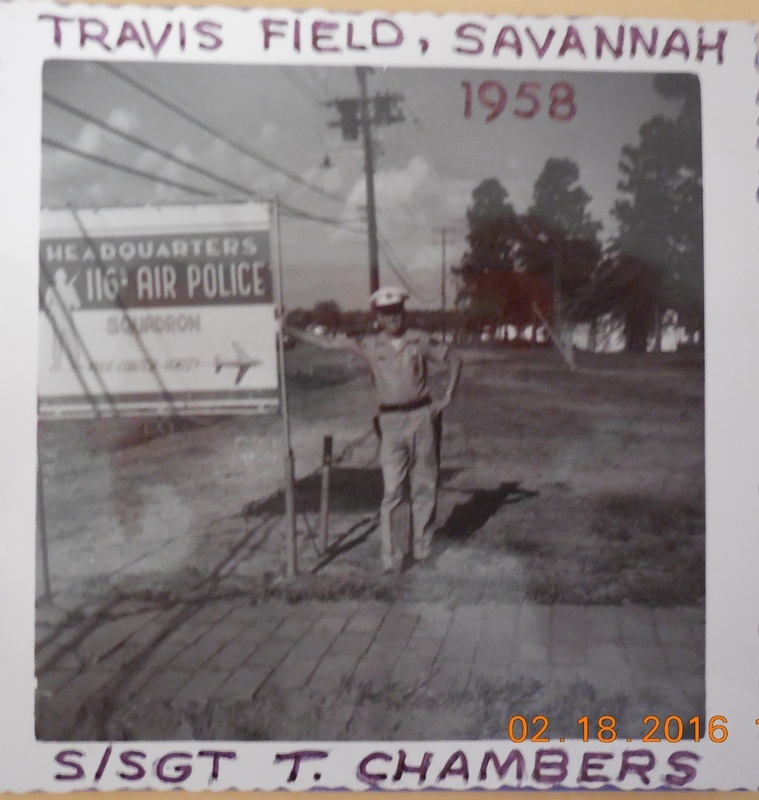 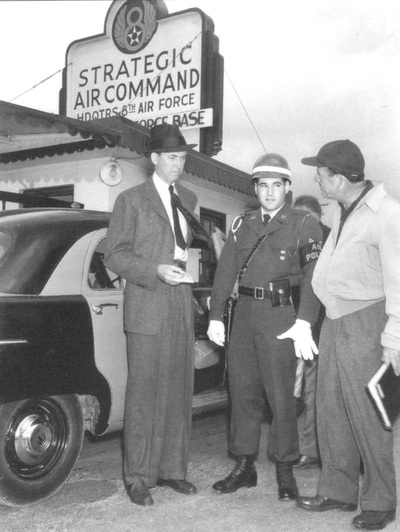 On 1 September 1950, the first Air Police school was established at Tyndall AFB, FL. 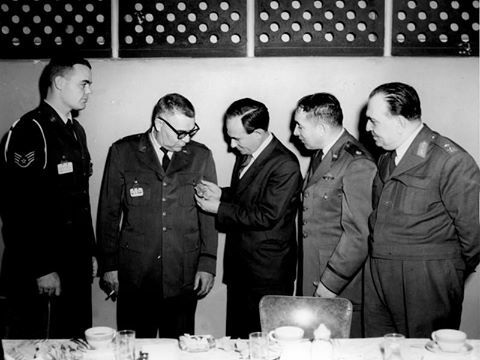 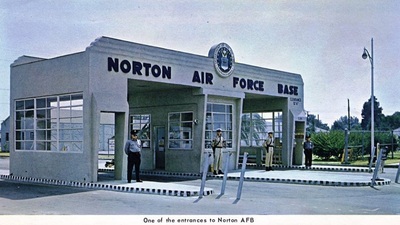 In 1952, the Air Council approved the development of an air base defense capability to be placed under the direction of the APM. 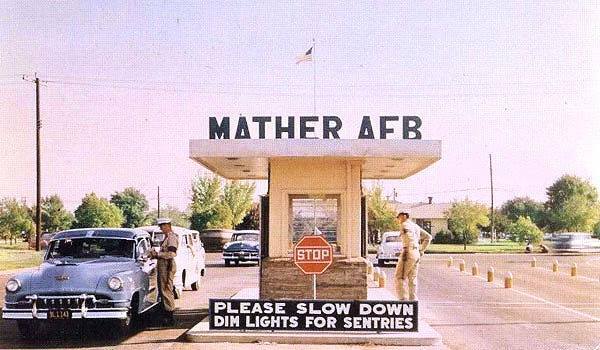 As a result, the AP school was transferred to Parks AFB, CA and re-designated as the Air Base Defense School‖. 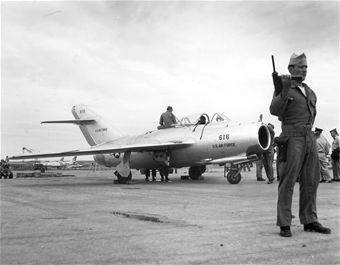 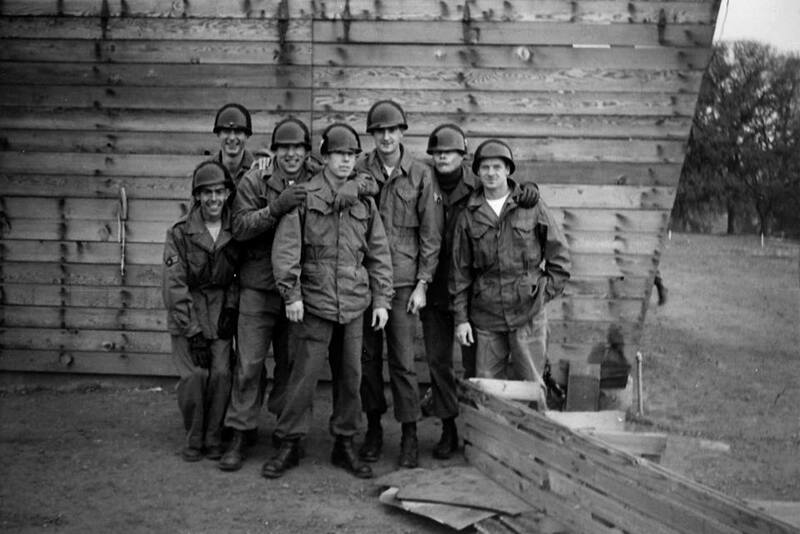 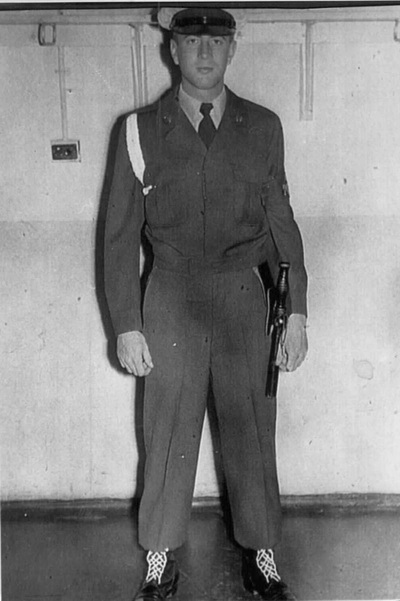 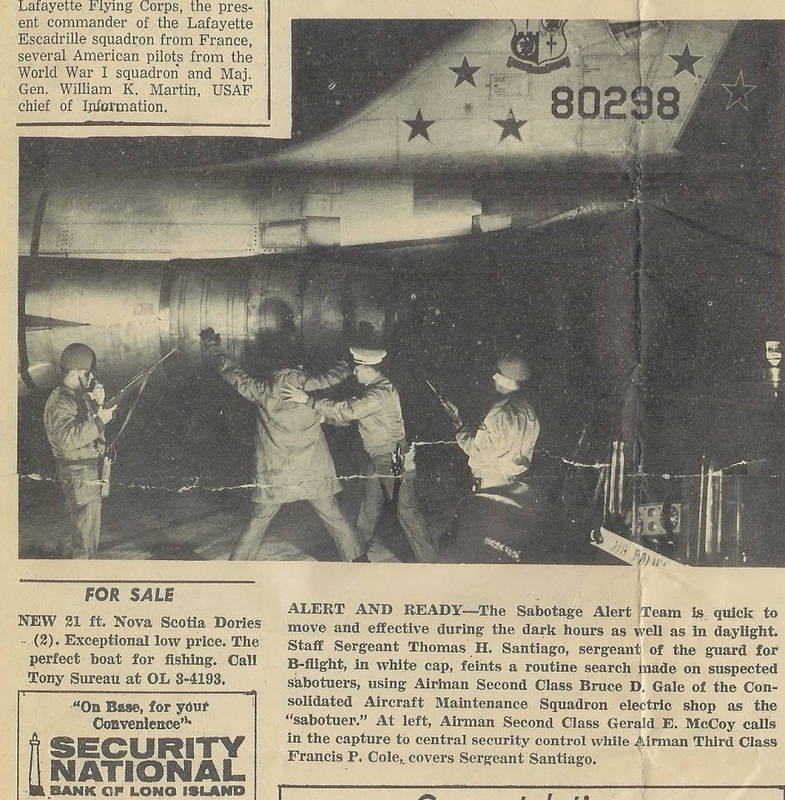 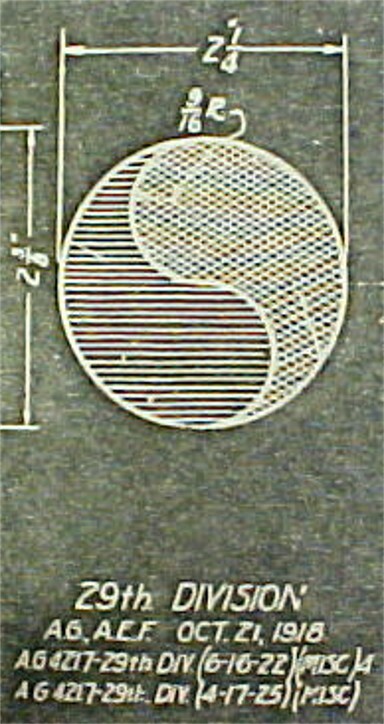 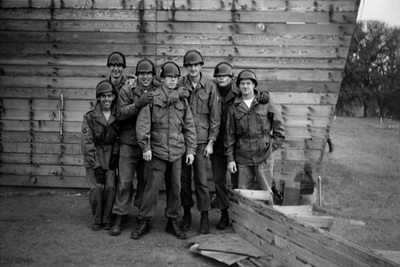 The base defense training effort was discontinued in 1956, when it became evident the program as envisioned was not making significant headway. 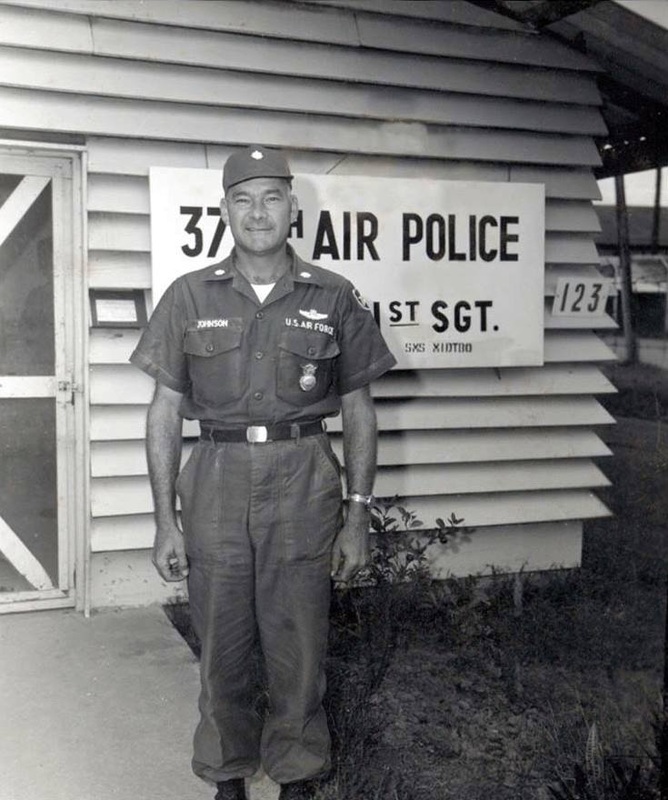 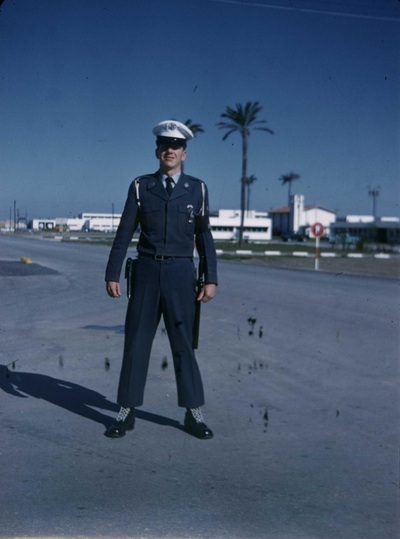 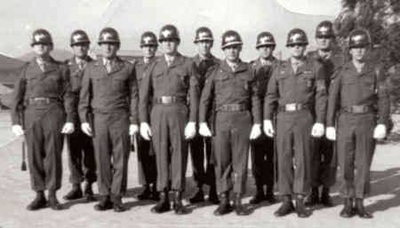 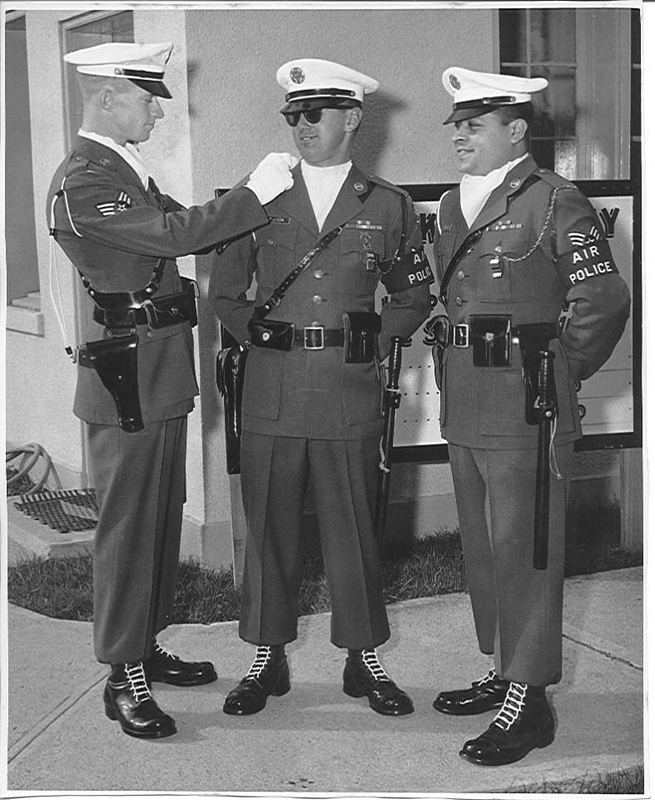 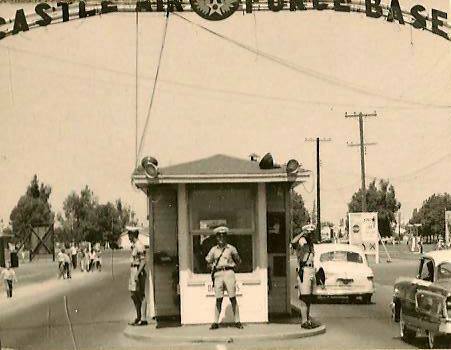 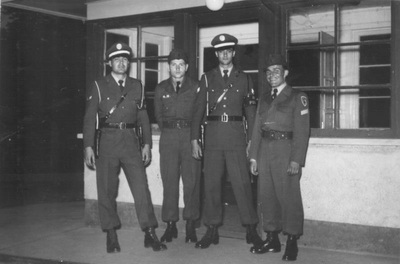 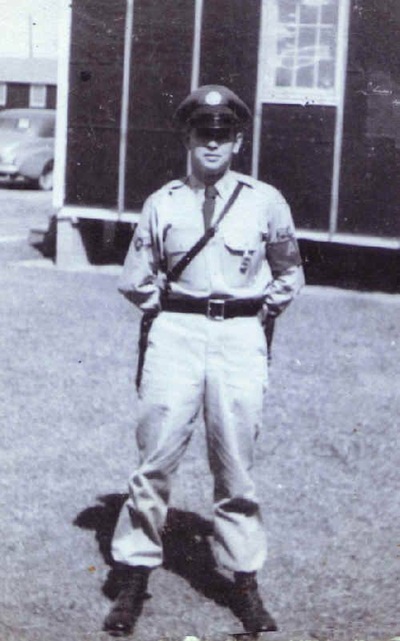 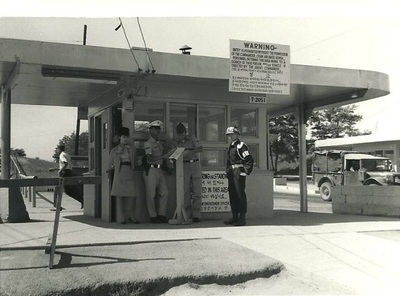 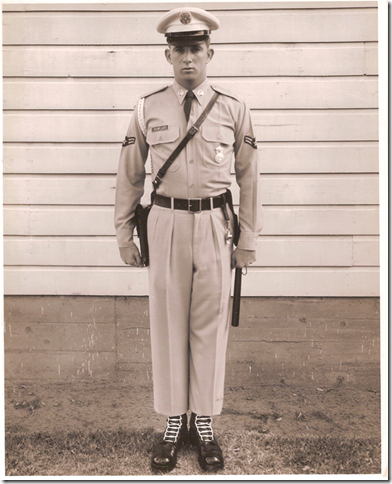 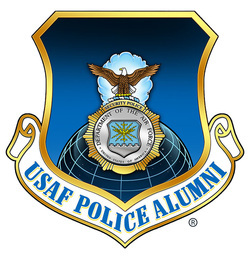 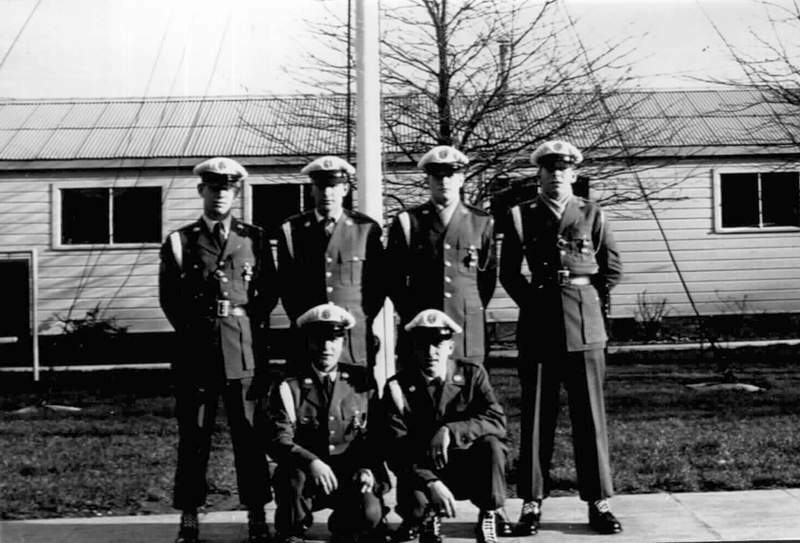 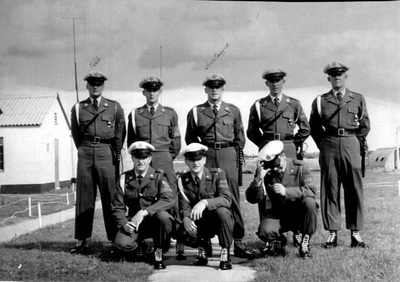 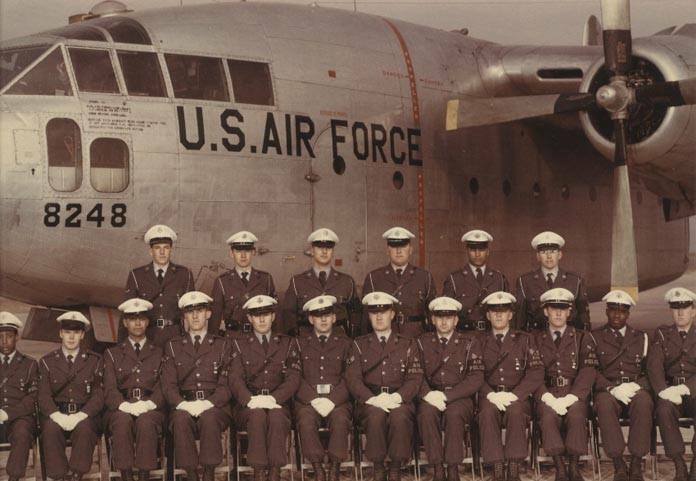 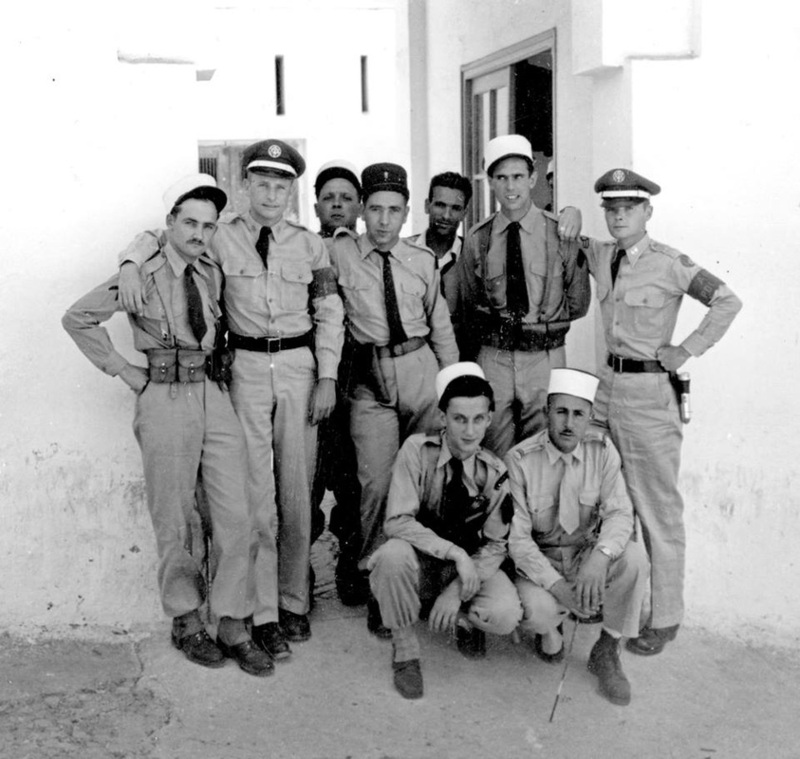 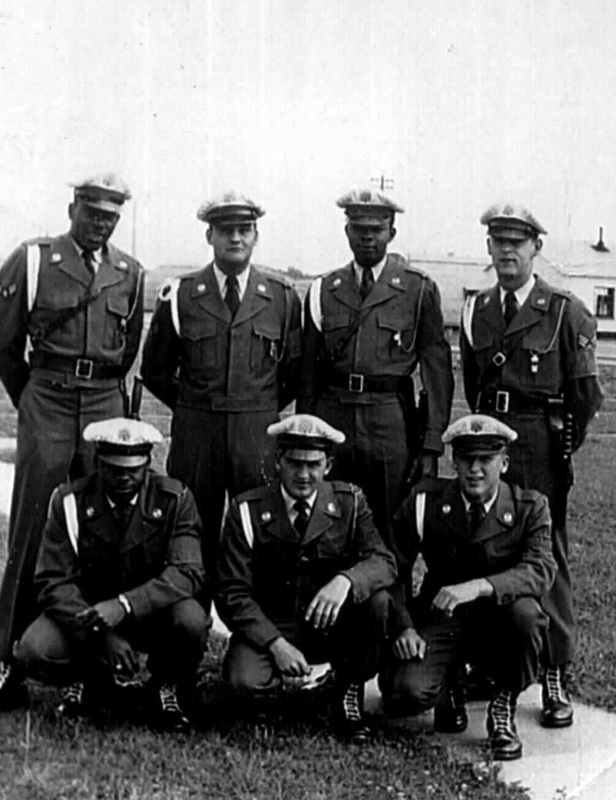 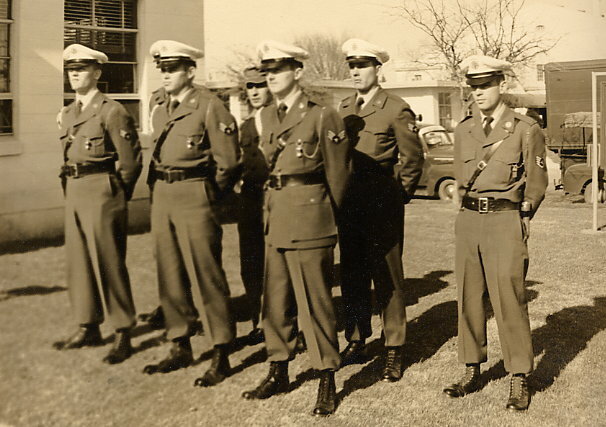 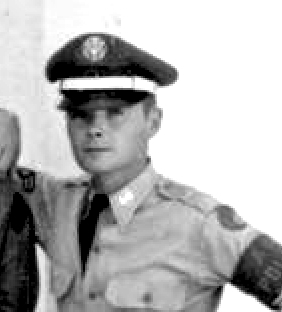 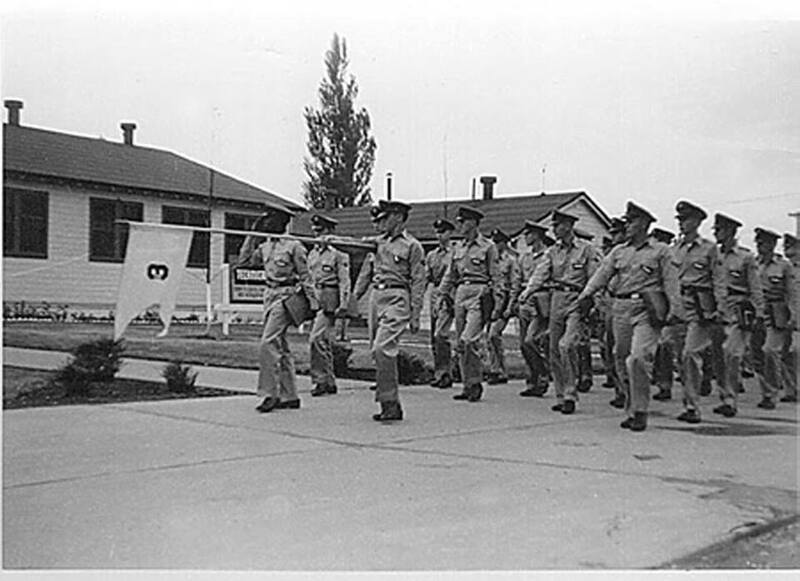 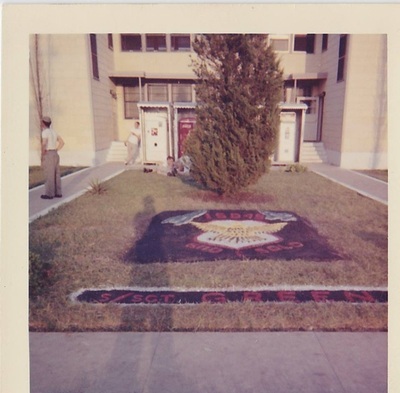 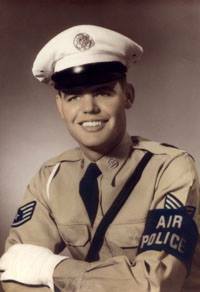 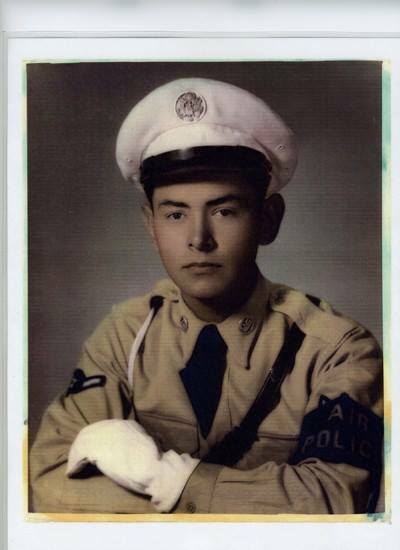 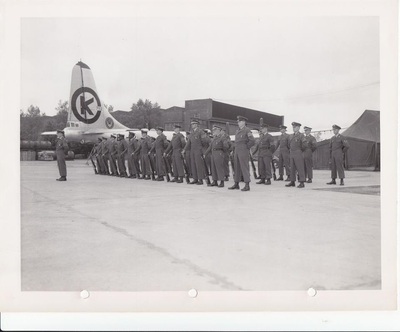 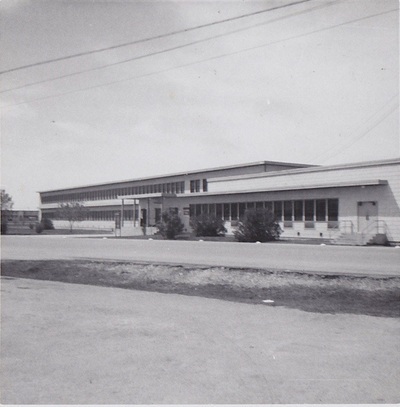 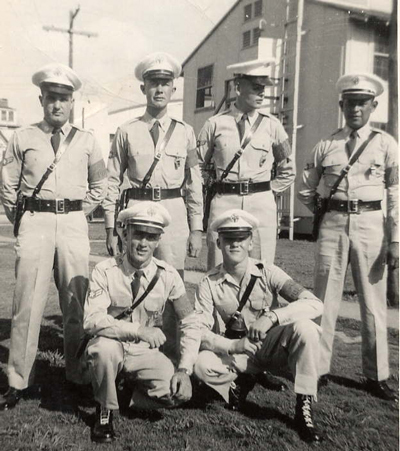 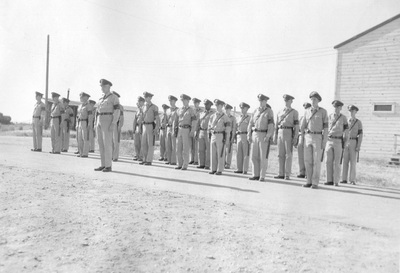 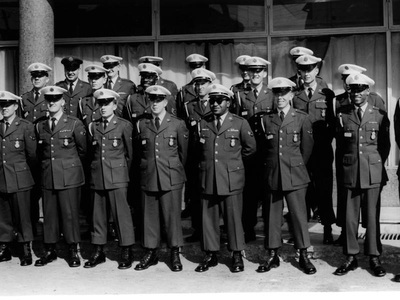 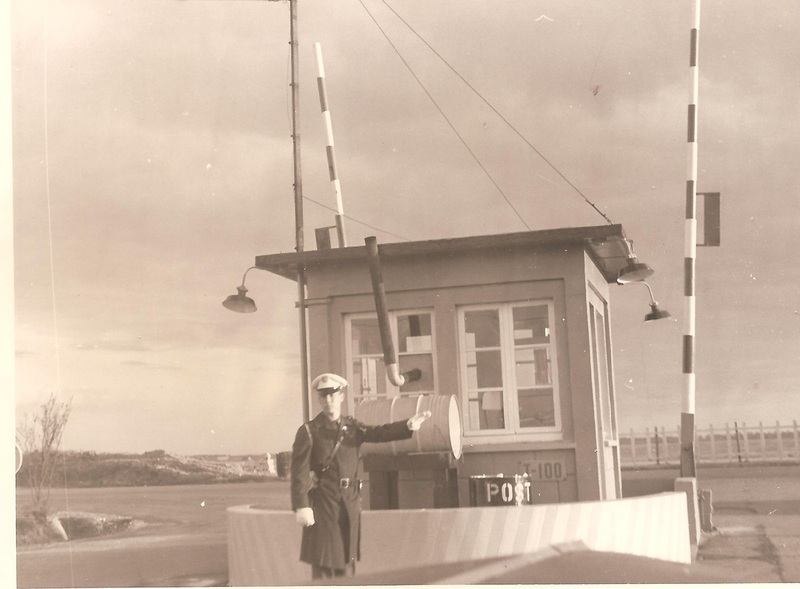 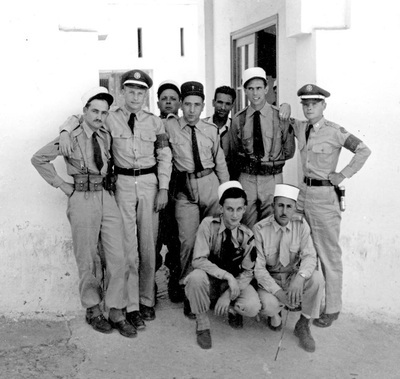 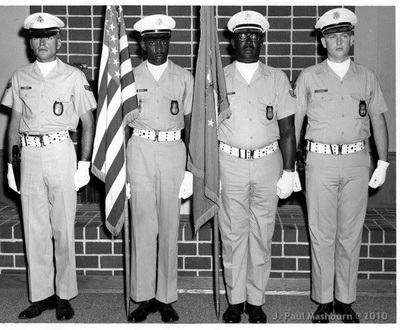 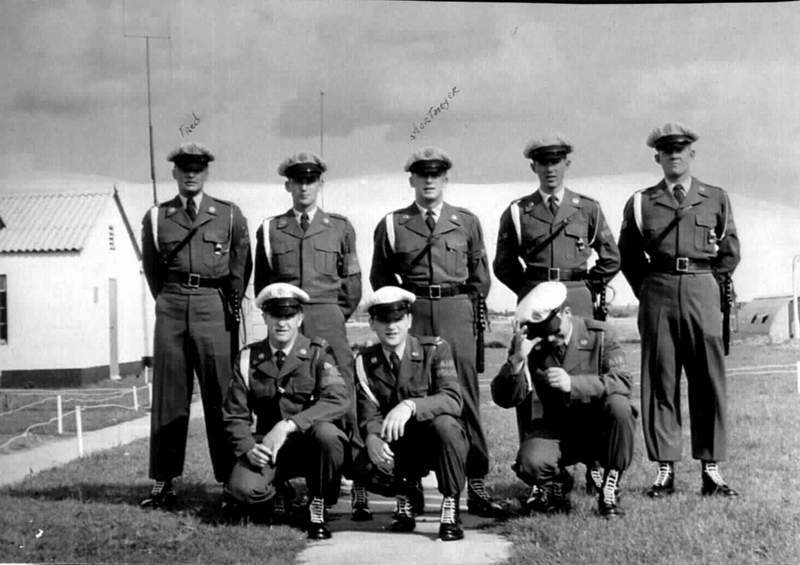 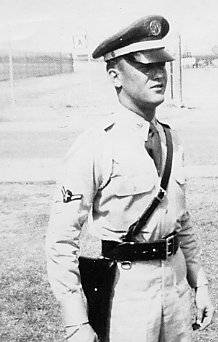 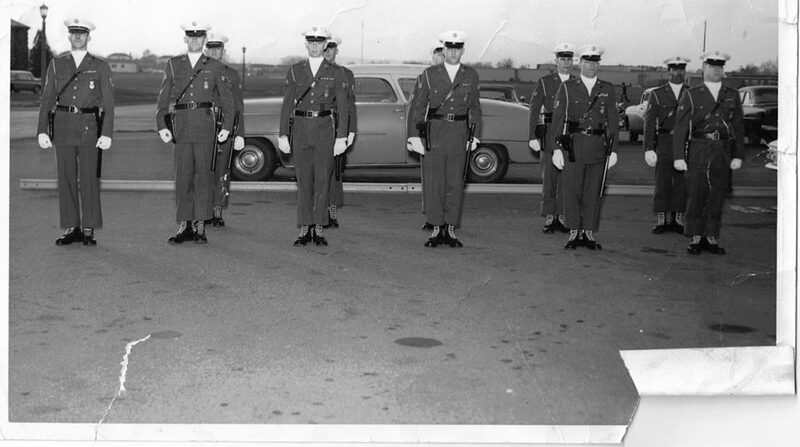 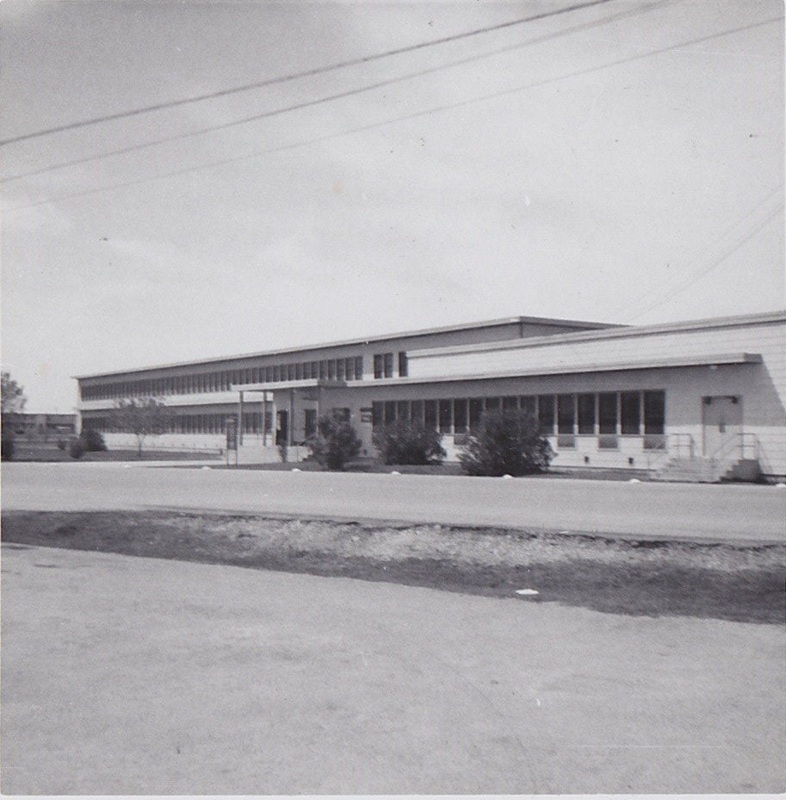 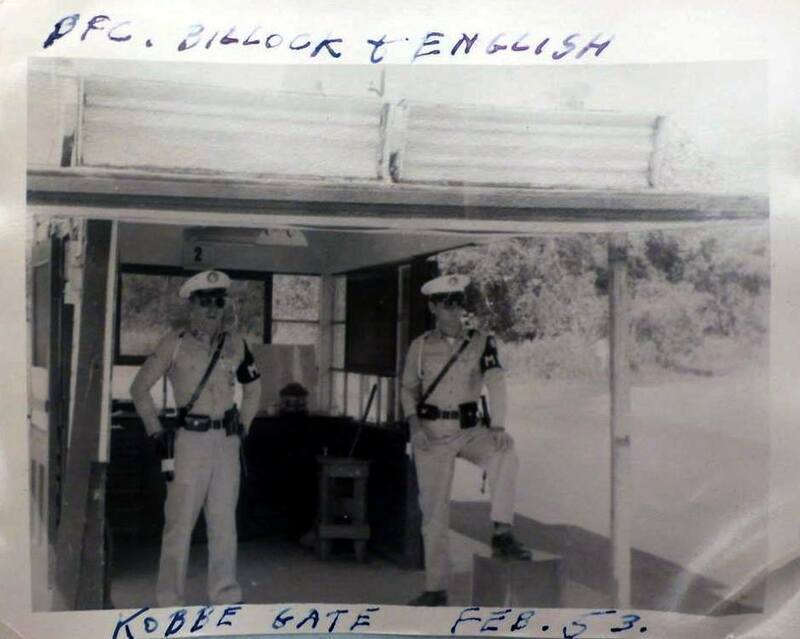 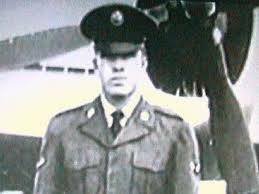 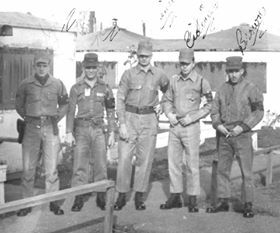 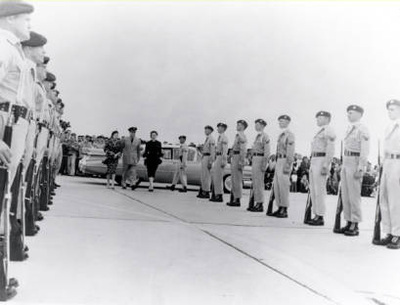 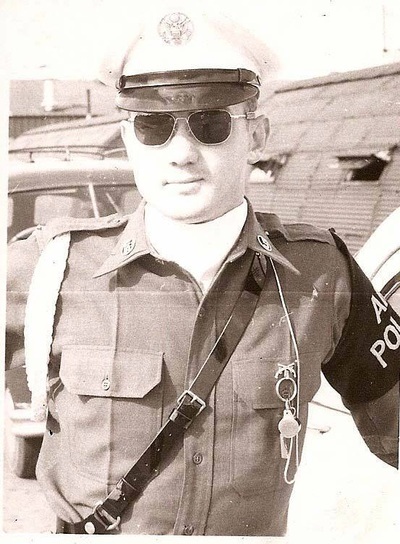 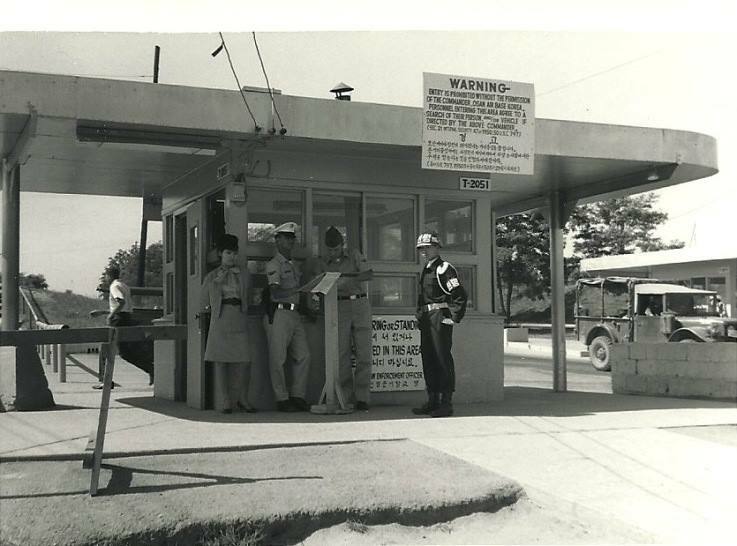 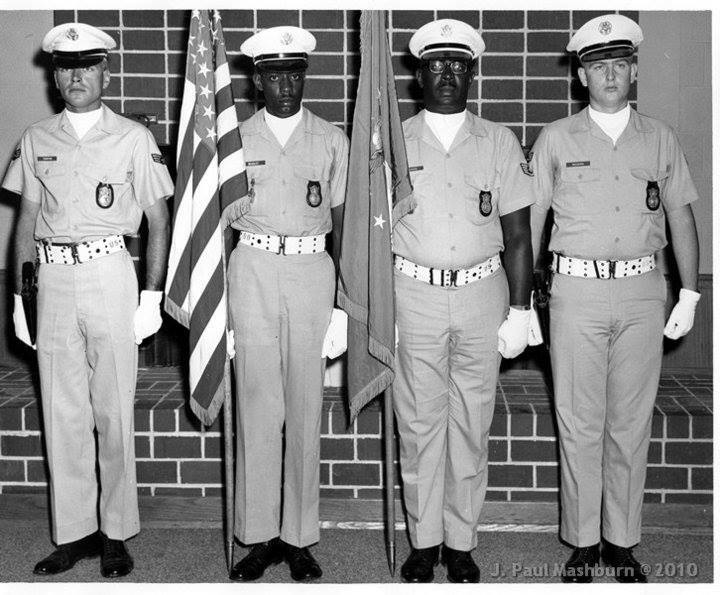 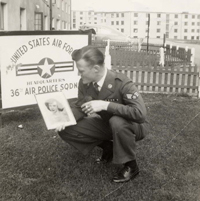 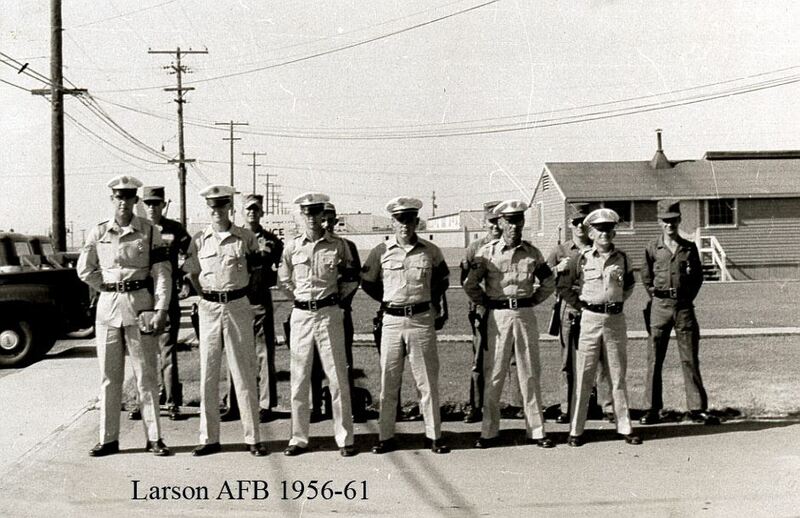 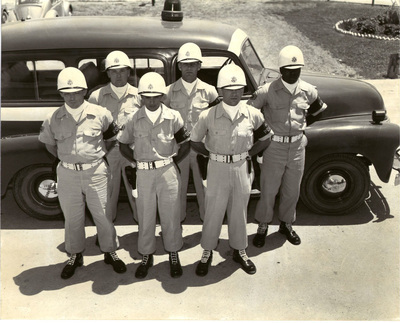 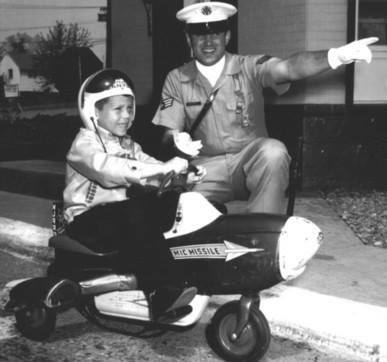 On 13 October 1956, Air Police training was transferred to Lackland AFB, TX, where it became home to Security Police training and continues there to this day as the Security Forces Academy.